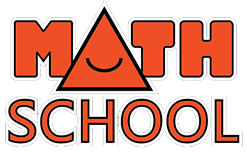 Math contests are competitive events which allow students to practice math skills and get involved with math in fun, engaging and challenging way. During a contest, students sit a mathematics test. In Canada, students are fortunate to have quite a number of opportunities to compete mathematically. Math Contests help develop imaginative and critical thinking skills as well as logical reasoning which are valuable beyond the math classroom. Similar to skills such as adding or subtraction, problem-solving is a skill which needs to be practiced often in order to achieve success. Competitions provide opportunities to hone your skills. Demonstrate that you have sufficient mathematical knowledge to enter some university programs. Give your academic resume a boost. Participation in mathematical contests can make your university application stand out. They can be enjoyable! Contests and competitions provide you with a chance to meet up with peers with the same interest. There is a certain level of excitement in a competitive environment where grades and exams are not the focus. If you are interested in participating in a contest, we can help you prepare. Please call today to book a consultation.